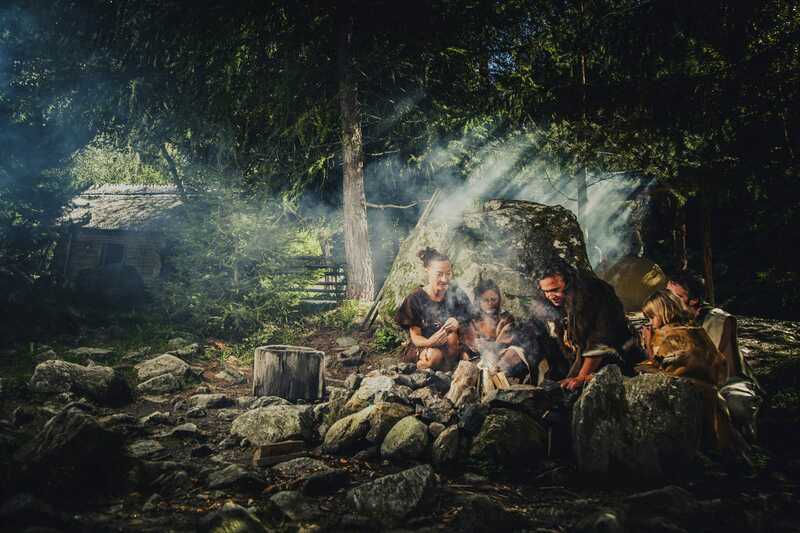 Re-opening on the 1st of May 2019! 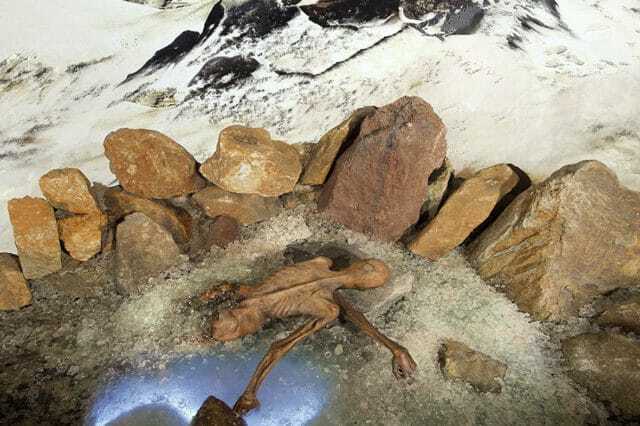 Travel Back in time to an era where Ötzi ‘the man in ice’ lived. 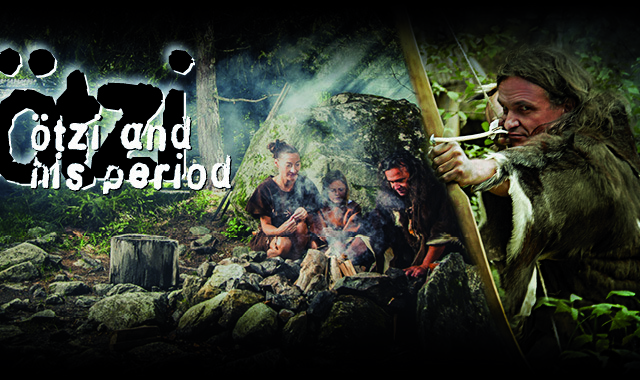 An exciting representation of life, housing and economics in the Neolithic period. 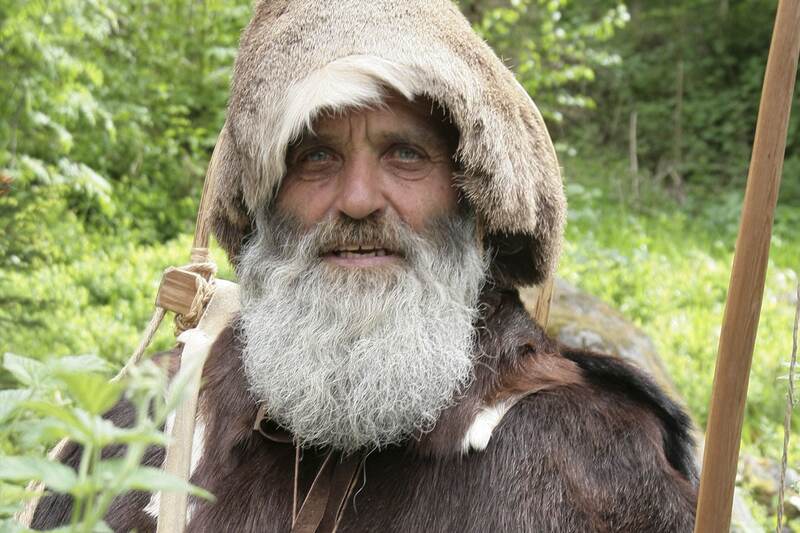 Authentic huts, weapons and tools. Old breeds of household animals for example Mangalica pigs, Przewalski horses Ox, Soay sheep and Blobe goats on show in the outdoor enclosure. 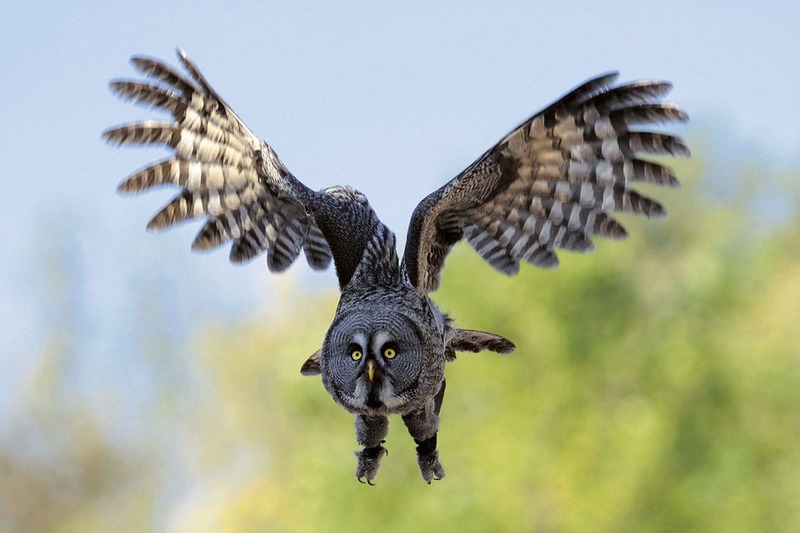 At the daily bird shows you can experience our birds 1st hand, almost close enough to touch. 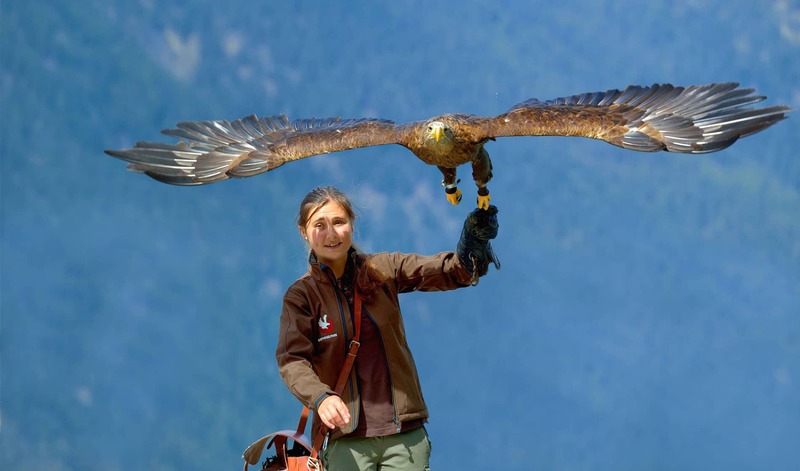 Eagles, Buzzards, Milan’s and many other species are on show, displaying their spectacular talents, circling mystically through the air, swooping over the crowd and then landing cooly on the hand of their Falconer. Mon-Sun 11 am till 1 pm and 2 pm till 4 pm. 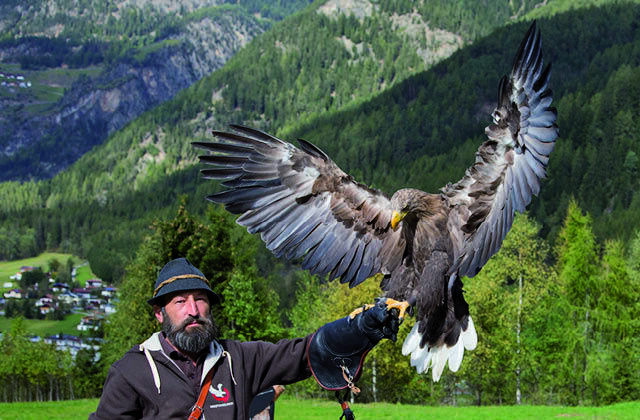 Ötzi Village & Birds of Prey Park…directly next to each other! An extraordinary experience! 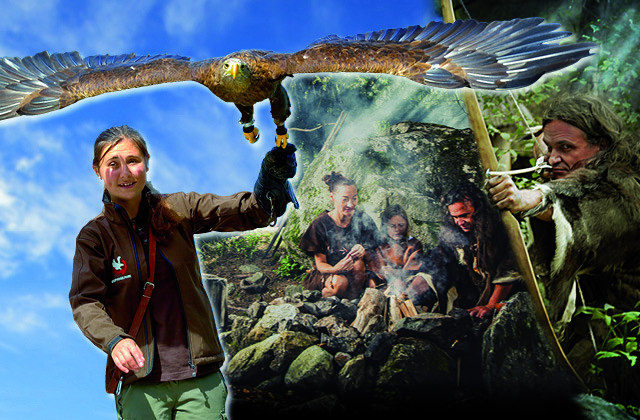 The Ötzi Village and Birds of Prey Park covers an area of approximately 17,000 m² in Umhausen, at the foot of the “Stuibenfall” – The highest waterfall in Tyrol. 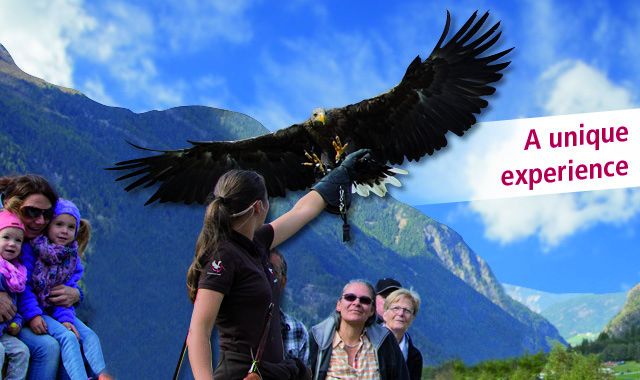 With the low-cost Combi-card you can experience both attractions. 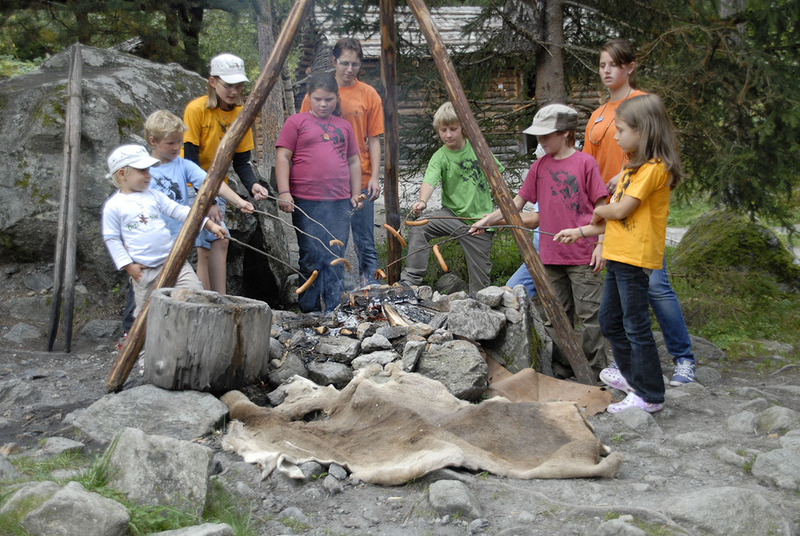 Ötzi Village and Birds of Prey Park is the ideal attraction for groups and buses and its only a five minute walk from the parking lot Bischoffsplatz. The entrance to the attractions are all wheelchair accessible. If you book in advance you can oder your tour in English, Italian or French! 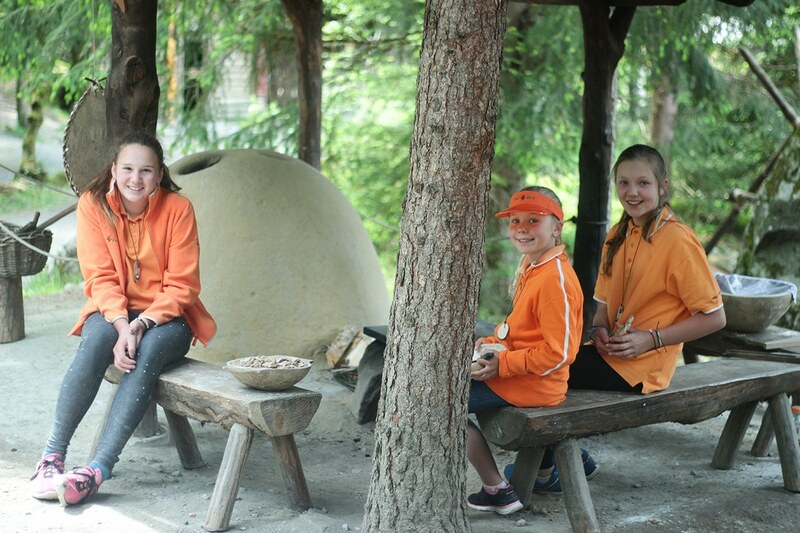 Institute: Association for Prehistoric Buildings and Local History, 6441 Umhausen, Dorf 30.  Press enquiry’s under office@oetzi-dorf.at . More details: Free download Folder. 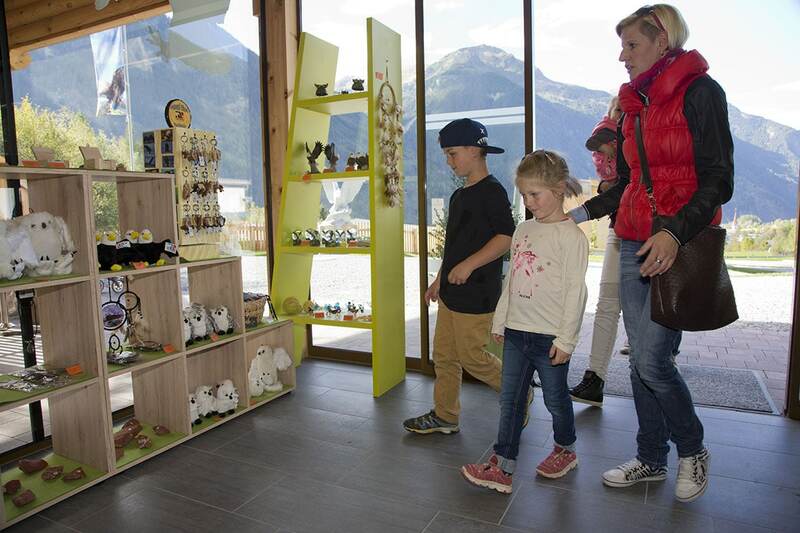 Car and Bus: A-12 turnoff Ötztal – 14 km to Umhausen – Follow sign posts to the Ötzi-Village’s parking lot “Bischoffsplatz” (pay parking). Train or Bus: Train Station Ötztal Bahnhof – with the Ötztal line to Umhausen. Discount at the counter when you show your Park tickets!